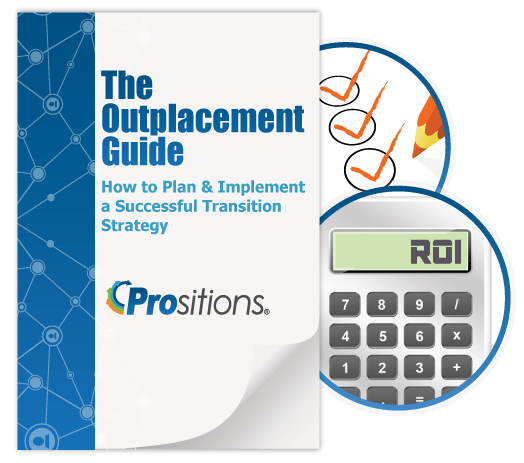 OutplacementPro services always include access to ProCareerMentor. The online software features job search engines that update daily, automated resume creation and submission tools. The interface is intuitive and wizard driven, making it easy to use. No training required. 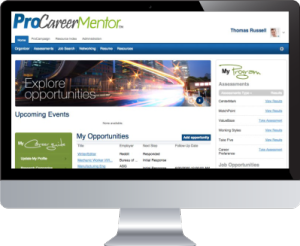 The ProAssessment Center provides the most comprehensive online library of career assessment tools available. Candidates gain insights into their motivations, strengths, work-styles, and occupational interests through self-directed or assisted assessment formats. The ProResume Builder assists in resume creation, writing, and editing. The candidate can facilitate e-mailing and submission of resumes, cover letters, and thank you notes, as well as track responses and see when documents have been delivered and reviewed. The ProCareer Campaign builds a step-by-step action plan to manage the career search from start to finish. Each phase of the job search process is depicted graphically so candidates can see exactly where they are and what they need to do next. The ProOrganizer organizes contacts by name, title, company, phone number, and address. The tool keeps track of all communication and activity with contacts and hiring managers. Candidates can easily view their virtual calendar and keep tasks, activities, and events organized. The ProKnowledge Center allows candidates to access a comprehensive library of courses, videos, podcasts, research papers, tip sheets, and other pertinent information regarding all aspects of the career search and transition process. The ProConnect feature helps users communicate online with career strategists and coaches. The candidates can leave messages, share ideas, ask questions, and receive helpful feedback.